Happy New Year to all educators out there...My first post for 2013! For some it is a new semester or the middle of the year/trimester. This is an opportune point for educators to reflect on the previous five months. Many of us have personal resolutions that we make at this time of year, but it is important to sometimes make resolutions for different aspects of your life; because for some of us, one is just not enough. 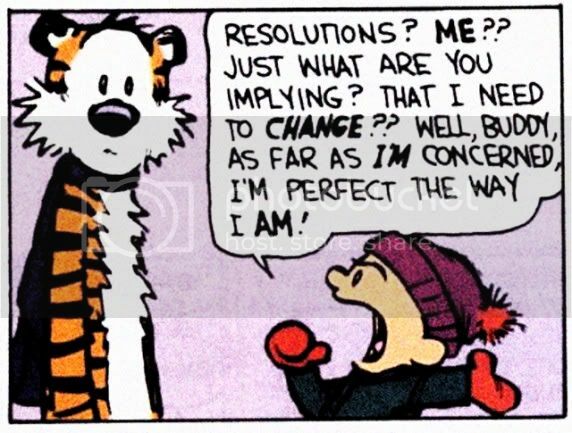 So below, I bring you 10 New Years Resolutions that might be of interest to you. 1.) Keep Your Computer Clean - Take some time to clean the keyboard, mouse, screen, and workspace. Often times, a teachers workstation does not get a good physical cleaning until school is out. At the same time, virtually clean your computer as well. Go through and delete old documents, files, and software that you no longer use...you might be impressed with the speed increase you get. Also, organize your documents as well. I never understand how teachers have files all over their desktop...would drive me insane. If unsure where to start, LifeHacker has some good information. 2.) Start Using Cloud Storage - Most schools are using Microsoft Office SkyDrive or Google Drive and both products provide cloud based storage that is safe and easily adaptable to any computer. Start moving your files to the cloud so that you have access to them from any computer. This will help with resolution #1 above in terms of organization and a clean computer. 3.) Choose ONE New Web Application - With so many options, it is best to probably focus on one to use in your classroom with your students on a daily/weekly basis. Learn how to use one really well, and then the ability to use others will fall into place. If you are stuck, just see my Web 2.0 posts for plenty of options. 4.) Choose ONE New Mobile Application - With an increase in mobile technology in the classroom and app developers focusing on education, there are several options out there that teachers can use in the classroom and are fairly easy to adapt and use. I recently wrote about 10 Mobile Apps for Teachers that would be a good starting point. 5.) Keep a Journal - Kids/Students say the darnedest things. Keeping a journal of that can not only provide yourself with comic relief, but also reflect on the joys of teaching. This journal can also be a way to remember lessons that worked well and lessons that need more fine tuning. If you are interested in keeping a journal in the cloud, Penzu and Loccit are options for such a need. 6.) Share Your Awesome Lessons with the World - There are several websites (Share My Lesson, Teachers Pay Teachers, Google Education Lesson Search, etc) that provide opportunities for teachers to share, and even some times make money from, the lessons that they are doing in class. Take this time to make it possible for other teachers to implement your lessons in the classroom. Chances are you have searched and used a lesson that someone else has taught in their classroom. Time to pay it forward with your own. 7.) Create a Class Blog - Blogging provides a great avenue for students and you to share what is going on in your classroom on a daily basis. Blogging services allow for posts to be put in draft, so students could write posts, and then the teacher can proofread them before publishing them. Various students could be assigned different days of responsibility to post. Your class blog can then be shared with parents as a form of communication and by allowing students to complete the post you are teaching responsibility and also identifying areas of weakness in writing. 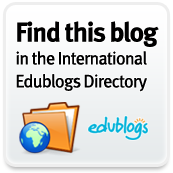 Edublogs and Kidblog are good services to use. The EduBlogger has a great "Create a Class Blog" post about getting started with a class blog as well. 8.) Integrate Social Media into Your Classroom - Create a Facebook Page, Twitter Account, or Edmodo Page for your classroom and start communicating with students and parents what is going on in the classroom and provide reminders and provide updates to students and parents. If you complete resolution #7, then using social media would be a great way to share this new avenue of communication when new updates are made to the blog. If you are stuck on how to do so, a simple Google search will provide great feedback from educators who are using social media in their classroom. 9.) Plan to Attend a Tech Conference - Generally in the spring and early summer there are several EdCamps and TeachMeet conferences that will be available for teachers to attend and learn ways to integrate technology. Make plans now to start researching one in your area and make a plan for attendance. Sign up fellow teachers to go with you. Having support is important when venturing into something new. 10.) Use Photo and Video in Your Classroom - Ensuring students have their media release forms, start using video and photos to capture what is happening in your classroom. Encourage students to get involved in the use and production of the media as well. Once you have done that, create a video page on YouTube, School Tube, or TeacherTube to upload your videos. You can then include these on your class blog and share through social media. 11.) Use a Presentation Tool Other Than Power Point - Whether it is Prezi, a Digital Photo Story, or the creation of a cartoon, try a new way to present material to students. See Alternatives to Power Point for Lecture for ideas. Once you have tried something new, encourage your students to do the same thing. 12.) Start Reading Blogs - I have said multiple times on this blog that the greatest professional development for me has been the discovery and reading of blogs by educators all over the world. Find some blogs that meet your needs for you and your classroom and start following them using Google Reader. 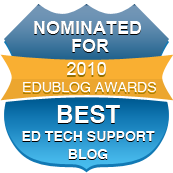 The Edublog Awards are a helpful starting point for finding blogs to read. Some I read can be found HERE and HERE. 13.) Find a Grant and Complete it - Grants for schools and for classrooms are available for teachers to get money to use in their classrooms. Take advantage of these corporations and people that want to help you be a better teacher. Commit to taking some time to complete a grant. Even if you don't win, the satisfaction from completing the grant and meeting the requirements can often be a reward in itself. Get Ed Funding is a helpful starting point to find potential grants. Happy New Year and I hope you find a resolution in this list that you can start, stick to, and complete. Good luck! !